A Giant Man from a Tiny Town: A Story of Angus MacAskill by Tom Ryan. Writer and storyteller Jan Andrews spent nearly 20 years crafting and shaping her young adult novel, To See the Stars (($16.95, 12+, 156 pages), which has been posthumously published by Newfoundland’s Running the Goat Books and Broadsides. It was well worth the wait. The author of classic picture books such as Very Last First Time and novels such as Pa’s Harvest and Keri, Andrews, who died in September, 2017, has left young readers one last gift. It’s a mesmerizing and compelling coming-of-age story that traces the journey of Edie Murphy from the remote outport community of Atterley in Newfoundland, where she grows up at the turn of the century, to St. John’s and then New York. Edie relates her story in a spare but poetic narrative that describes the way her life is shaped and moulded by her hard-scrabble working life. In Atterley, Edie, as with all women and girls in her village, is involved in her family’s struggle to live by fishing. In St. John’s, she’s a maid-of-all-work for a wealthy widow, drudgery from morning to night. And life as a garment worker in one of the textile sweatshops on the Lower East Side isn’t much better. Relentlessly exhausting and, often, unrewarding as the work is, she’s buoyed by her father’s stories of the seal folk, the sound of an old woman singing Italian opera and the shimmering stars in the night sky. As Edie struggles to find purpose in the world and a sense of who she is, she’s helped along the way by the often unexpected friendships she makes. She participates in the 1909 garment workers labour strike, known as the Uprising, and witnesses the tragic 1911 Triangle Shirtwaist Factory fire, which is brilliantly rendered by a sparse prose that is devastating and exquisite at the same time. To See the Stars is at once tough and tender and utterly unforgettable. Peg Bearskin (Running the Goat, $14.95, 4-12, 40 pages) is subtitled a Newfoundland folktale, but it’s much more than that – it’s an empowering story about how powerful girls can be. Peg is big, hairy and ugly, but she’s also courageous and clever enough to outsmart a witch, win the favours of a king and find herself a big, hairy and ugly prince to live happily ever after with. Andy Jones and Philip Dinn’s retelling perfectly captures the cadences of the oral story and Denise Gallagher’s illustrations add to the fun, giving life to this rebellious heroine who needs to be known to girls across Canada. 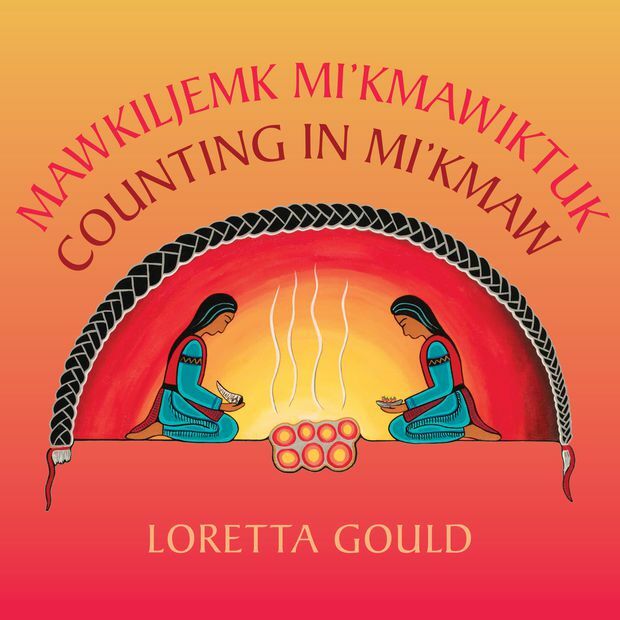 Loretta Gould’s Counting in Mi’kmaw/Mawkiljemk Mi’kmawiktuk offers an introduction to Mi’kmaw language, art, culture and traditional teachings. 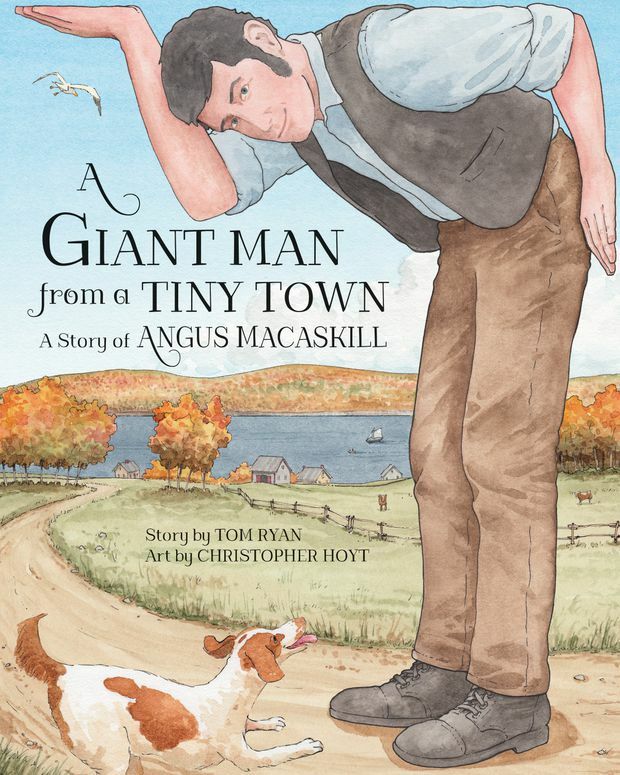 Nimbus Press is Eastern Canada’s largest publisher, and what better book to represent them than A Giant Man from a Tiny Town: A Story of Angus MacAskill ($22.95, 3-7, 32 pages). Tom Ryan playfully recounts the story of the Cape Breton Giant who stood 7 foot 9. He toured the world with P.T. Barnum and General Tom Thumb, and Queen Victoria declared him “the tallest, stoutest and strongest man to ever enter the palace.” But he also returned to Cape Breton after seeing the world. Christopher Hoyt’s gentle watercolour illustrations add depth and richness to MacAskill’s story. Loretta Gould’s Counting in Mi’kmaw/Mawkiljemk Mi’kmawiktuk (Nimbus, $14.95, 3 and under, 14 pages) is a wonderful introduction to Mi’kmaw language, art, culture and traditional teachings and the self-taught Waycobah First Nation artist’s bright and engaging illustrations. It’s a great counting book, too. Her beavers, bears and turtles are sure to delight new readers as well as offer them a new way of seeing the world. Manitoba’s Highwater Press’ forthcoming graphica, This Place: 150 Years Retold ($34.95, 15+, 272 pages), a Canada 150 project, offers young people a chance to reimagine and rethink the telling of Indigenous people’s stories and their place in Canadian history. Stories created specially for this breathtaking comics anthology come from an array of Indigenous writers including Katherena Vermette, David Alexander Robertson and Chelsea Vowel. Ranging from fights for the recognition of fishing and hunting rights and land claims to stories about heroes such as Annie Bannatyne and Francis Pegahmagabow, this mix of powerful storytelling and memorable illustrations is a place to begin a dialogue with Indigenous peoples in Canada. Veteran children’s writer Kit Pearson has teamed up with her partner, Katherine Farris, to create a sensitive and imaginative picture book, The Magic Boat (Orca Book Publishers, $19.95, 3-5, 32 pages), about a lonely little girl, Ellie, who is too shy to make friends with other children on the beach that she and her Nonna visit every day. That is until Piper, a little girl she meets, takes her under her wing and on magical adventures in the abandoned boat. Gabrielle Grimard’s bright and exuberant illustrations give life to Pearson and Farris’s gentle text. Michelle Mulder’s The Vegetable Museum (Orca,$10.95, 9-12, 176 pages) is a deeply satisfying story about family, friendship and the power of community. Chloe can’t understand why she has been forced to move to Victoria from Montreal with her father to look after her grandfather, Uli, who recently had a stroke, especially since the two men don’t get along. But gradually, she becomes involved in Uli’s unusual vegetable museum – a project to rescue and preserve heritage seeds – and, after his death, she desperately wants to preserve his legacy. Mulder neatly juggles the various threads of the story while making sure readers aren’t overwhelmed by the serious issues she grapples with in her novel.